War is indeed the answer. Well, it depends on what the question is, I guess. Fair enough, everyone has its own opininion. But, for example, I have a family in Bosnia. They've been stuggling through the war, protecting their yard... and meanwhile, I am living in Serbia 170 miles away, which is not a big problem for a US army to attack. Still, I am against the war. Here's a very simple question: Would you bomb your place like the US army bombed Kosovo and then clam that war is the answer while someone you know is moving there and can suffer from enormuos amounts of radiation. War is still the answer? Don't think so. The Pope prays (asks his superior) to end wars every now and then. So, maybe war IS the answer. Comes in hand-made cardboard pockets. Each is unique. 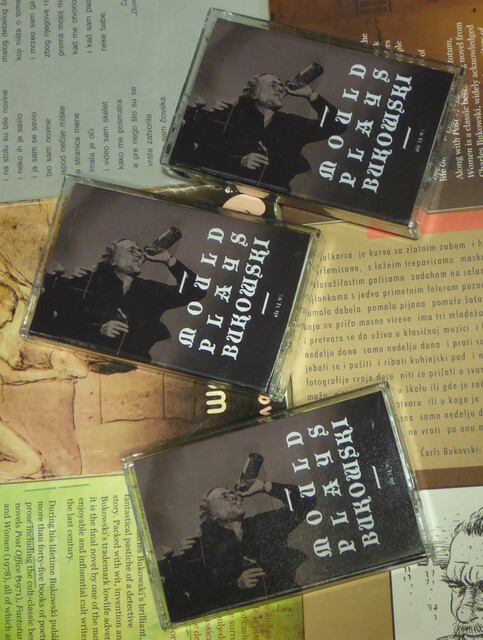 Croatian experimental noise project The Karmakumulator is presenting 2009-2013 materials conducted into a single song, totally rearranged and deranged cover of Satan Panonski classic song "Tiho/Bajka" (only lyrics resemble the original a little bit). Haunting electronics and obscure out rock guitar work meet claustrophobic ambience and scraps of sounds done in 7-piece line up for this expanded 2018 version for your occult audio dinner. 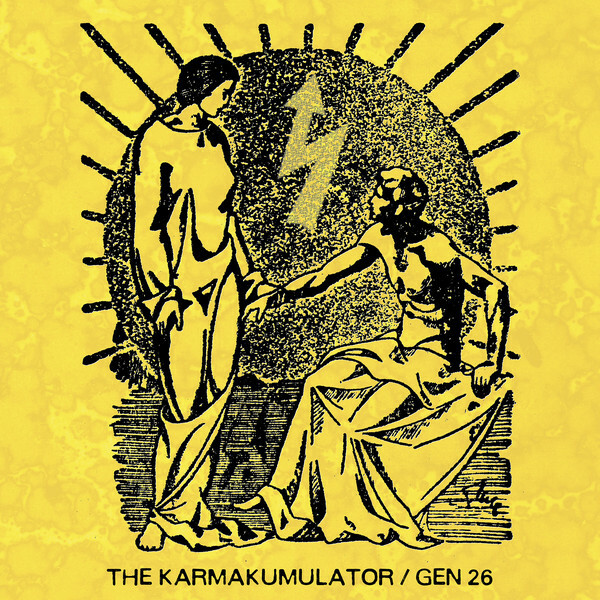 Gen 26 from Slovenia explores instrumental power electronics in monolithic and static HNW song "Sonic Outbursts Of Modern-day Capitalism" recorded late 2017. Great combination brings the contrast of two extreme music activists from this part of Europe packaged in beautiful color artwork and limited 7" vinyl printed on superb sounding plastic in three color variations: black/white marbled, clear white and clear orange. Released in a friendly collaboration between 16 labels/organizations: [&] (Slovenia), Bučni Stripovi (Croatia), Dare the Divine (Croatia), Debila Records (Slovenia), F.O.A.D. Records (Italy), Grobarluk Records (Croatia), Guranje s Litice (Croatia), IKS Festival (Croatia), Ill In The Head (Canada), Kekere Aquarium (Croatia), Kulturno umjetnička udruga Uzgon (Croatia), No Profit Recordings (Croatia), Pravěk Noise Section (Czech republic), Slušaj Najglasnije! (Croatia), Sky Burial Productions (Slovakia), SweetOhm Recordings (Greece). 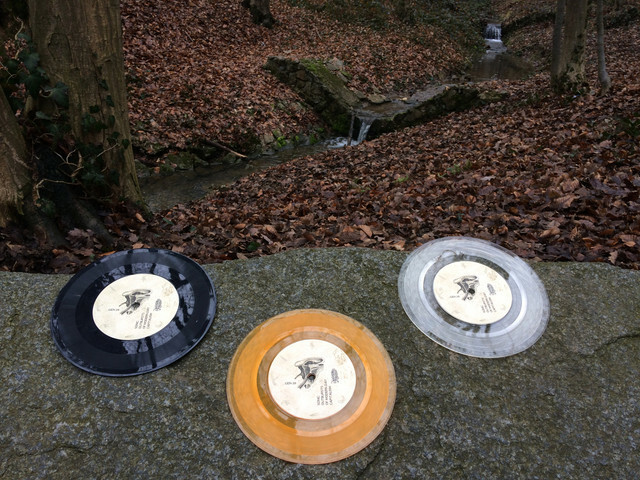 270 copies pressed (90 black/white marbled, 90 clear white, 90 clear orange).